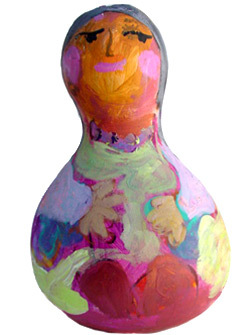 When I woke up in the hospital after breast cancer surgery my first thought was, "Gourds! I've got to paint gourds!" So I painted this woman: a strong, Native American healer. Looking at her kept me in touch with my vision of health for myself.